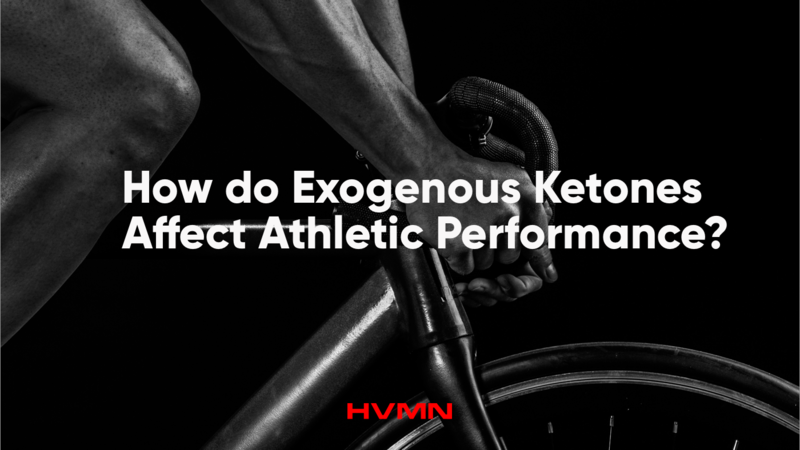 How do exogenous ketones affect athletic performance? Train harder, perform longer, and recover faster. From little league to the pros, these are the goals for every athlete. Today, athletes continue to push the boundaries of impossible, in part thanks to our evolving knowledge of optimal sports nutrition. The Low-carb, high fat, ketogenic diet is of particular interest due its effects on weight loss and resultant production of ketones. No, not in the amount that is correlated with diabetes. In moderation, ketones act as an alternative energy source to fats and carbohydrates. They can also help with recovery from exercise by acting as an anti-inflammatory and antioxidant inside the body. However, obtaining these benefits of ketones requires a difficult transition into nutritional ketosis. Not only that, becoming fully adapted to mobilize fatty acids and utilize ketones for energy can take anywhere from several weeks to a couple of months. In addition, carbohydrates still play an essential role in an athlete’s nutritional arsenal, especially for athletes who perform at high intensities. Think sprinters or olympic weightlifters. What if athletes could benefit from carb loading and ketones together to push beyond their normal limits? Can Exogenous Ketones Boost Athletic Performance? High-fat diets are not for everyone nor every athlete. Reducing carbohydrate intake from that found in the standard American diet to 20-30g is not a piece of cake. However, fat-adapted athletes can use body fat stores for energy, don't have major blood sugar spikes, and can go for longer without eating. What if you could obtain some of these benefits from a drink? Ketone ester supplements can improve endurance performance1. When taken with pre-exercise carbohydrates, a beta-hydroxybutyrate (BHB)-butanediol (BHB-BD) ketone ester allowed cyclists to ride 2-3% further in a 30 minute time trial than with carbohydrate alone. This is likely to be a combination effect of: the high efficiency of ketones as a fuel that improved muscle efficiency and the presence of ketones sparing muscle carbohydrate stores for later in the exercise bout, allowing athletes to find another gear at the end of the test. Ketone esters (BHB-BD) lower blood lactic acid1. Lactic acid build up occurs during exercise as a result of burning carbohydrate at a high rate without enough oxygen. Blood lactic acid levels during exercise were 30% lower after ketone ester drinks compared to carbohydrate drinks. Ketone esters (BHB-BD) lower glycogen use1. During exercise, the muscle breaks down stored carbohydrate (glycogen) to provide a fuel for the working muscle. When a ketone ester drink was taken pre-workout, the muscle used far less glycogen compared to when the pre-workout drink contained carbohydrate. The high levels of blood ketones meant that the muscle used ketones as a fuel before needing to use glycogen. Ketone esters (BHB-BD) decreases muscle protein breakdown1. Exercise triggers the breakdown of some muscle proteins in order to top up metabolic processes inside the cell. This results in a rise in ‘branched chain amino acid’ levels inside the muscle after exercise. Taking a ketone ester drink before exercise decreased the exercise-induced rise in muscle branched chain amino acid levels. This could help to protect muscle during exercise. Ketone esters (BHB-BD) increases activation of protein synthesis2. Following exercise, complex signalling pathways within the muscle are activated to trigger the synthesis of muscle protein. A key regulator of muscle protein synthesis is a ‘kinase’ enzyme called mTOR. When athletes mixed ketone ester with a protein and carbohydrate recovery drink, muscle samples revealed that mTOR was more strongly activated with ketone drinks compared with carbohydrate control drinks. This could help to promote gain of muscle mass occurring as a result of exercise. Ketone esters (BHB-BD) could help to accelerate glycogen resynthesis3. After exercise that depletes muscle glycogen, the muscle uses carbohydrate from diet to replenish these stores. An experiment was carried out where athletes undertook depletive exercise and then were given a ketone drink (or carbohydrate placebo) as well as glucose intravenously to maintain a high blood level (10mM). In this experiment, when the recovery drink contained ketone ester, more glucose was infused in order to maintain blood glucose at 10 mM, and muscle glycogen levels were 50% higher. However, the evidence is not conclusive: another study2 found that adding ketone ester to a protein and carbohydrate recovery drink did not enhance the normal rate of glycogen re-synthesis. Acetoacetate (AcAc) diester did not improve performance4. This ketone ester drink was given along with a can of diet cola 30 mins before exercise and caused GI upset in many athletes. Delivering AcAc causes the muscle cells to become more ‘oxidised,’ which is a less favourable state for ATP production. The ketone body BHB can reduce oxidative stress and inflammation56. Therefore, supplementing with BHB may reduce muscle damage, immune dysfunction, and fatigue occurring during training. This may thus positively impact recovery and subsequent performance. Ketone salts did not improve performance78,9. Lower levels of blood BHB levels (which peaked at 0.6 mM and 0.8 mM in these studies) meaning far less BHB was present than in the ketone ester study. The ketone salt was given without carbohydrate and so there was no additive effect of ketones + carbohydrate as seen in the ketone ester study. The tests used were short and highly reliant on anaerobic (glycolytic) metabolism, therefore ketones did not offer an advantage. It is unclear if ketone supplements would improve or slow adaptations to exercise training. Some supplements (e.g antioxidants) that reduce the stress of training on the body can be useful if used in the short term, but in the long term they blunt training adaptation10. Many athletes would not follow a ketogenic diet due to the limited evidence of a performance enhancing effect (Burke2015), the risk of side effects having a negative impact on performance and the difficulty in maintaining the lifestyle changes required to stay in ketosis. What do exogenous ketones do? Exogenous ketones offer a method to deliver some of the benefits of ketone metabolism without requiring athletes to follow a strict ketogenic diet. 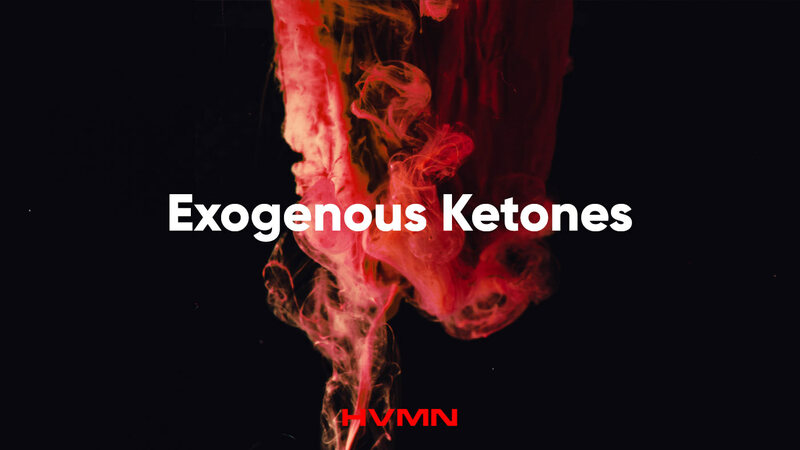 Taking exogenous ketones creates a metabolic state that would not normally occur naturally: the state of having full carbohydrate stores as well as elevated ketones. Long distance athletes may especially benefit from this new fuel source. 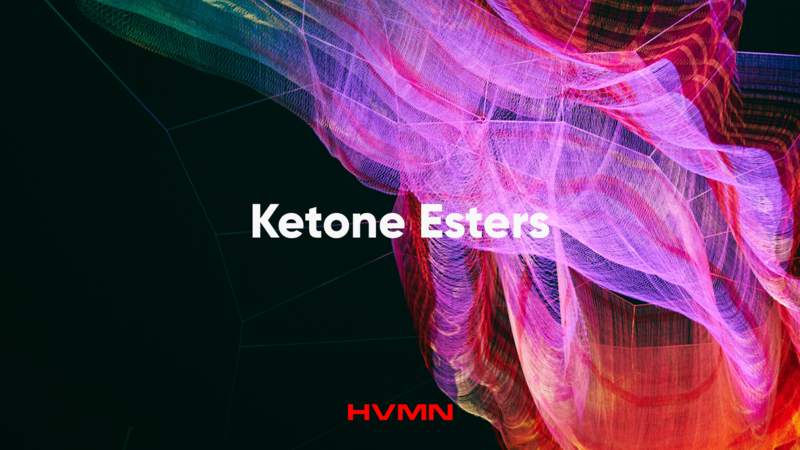 Thanks to Professor Kieran Clarke, Dr. Richard Veech, plus a decade of collaboration with Oxford and the NIH, HVMN Ketone is now publicly available. The Cell Metabolism paper done on elite athletes mentioned earlier best displays the potential of exogenous ketones on athletic performance1. Papers such as this one done by our very own science lead, Dr. Brianna Stubbs, as well as Peter Cox and Rhys Evans best displays the metabolism of exogenous ketones in humans11. With new studies on exercise performance, and the increasing availability of exogenous ketones, it is unsurprising that some authors have said (albeit with a hint of skepticism) that they “could be the next magic bullet’ for athletes12. More research is required to understand the best use cases, dosage protocols, compounds, etc., however it is clear that exogenous ketones are a new ‘tool’ in the athlete’s arsenal that can be used to provide an alternative, energetically favorable fuel source without needing dietary manipulation. We have yet to talk about the potential of exogenous ketones for therapy on Alzheimer's, Parkinson's, and diabetes. Exogenous ketones represent a huge step forwards in the field of sports nutrition, especially for endurance athletes. 2. Vandoorne, T., De Smet, S., Ramaekers, M., Van Thienen, R., De Bock, K., Clarke, K., and Hespel, P. (2017). Intake of a Ketone Ester Drink during Recovery from Exercise Promotes mTORC1 Signaling but Not Glycogen Resynthesis in Human Muscle. Front. Physiol. 8, 310. 3. Holdsworth, D.A., Cox, P.J., Kirk, T., Stradling, H., Impey, S.G., and Clarke, K. (2017). A Ketone Ester Drink Increases Postexercise Muscle Glycogen Synthesis in Humans. Med Sci Sports Exerc. 4. Leckey, J.J., Ross, M.L., Quod, M., Hawley, J.A., and Burke, L.M. (2017). Ketone Diester Ingestion Impairs Time-Trial Performance in Professional Cyclists. Front. Physiol. 8, 806. 5. Youm, Y.-H., Nguyen, K.Y., Grant, R.W., Goldberg, E.L., Bodogai, M., Kim, D., D'Agostino, D., Planavsky, N., Lupfer, C., Kanneganti, T.D., et al. (2015). The ketone metabolite [beta]-hydroxybutyrate blocks NLRP3 inflammasome-mediated inflammatory disease. Nat. Med. 21, 263-269. 6. Forsythe, C.E., Phinney, S.D., Fernandez, M.L., Quann, E.E., Wood, R.J., Bibus, D.M., Kraemer, W.J., Feinman, R.D., and Volek, J.S. (2008). Comparison of low fat and low carbohydrate diets on circulating fatty acid composition and markers of inflammation. Lipids 43, 65-77. 7. Rodger, S., Plews, D., Laursen, P., and Driller, M. (2017). The effects of an oral β-hydroxybutyrate supplement on exercise metabolism and cycling performance. 8. O’Malley, T., Myette-Cote, E., Durrer, C., and Little, J.P. (2017). Nutritional ketone salts increase fat oxidation but impair high-intensity exercise performance in healthy adult males. Applied Physiology, Nutrition, and Metabolism, 1-5. 9. Waldman HS, Basham SA, Price FG, et al. Exogenous ketone salts do not improve cognitive responses after a high-intensity exercise protocol in healthy college-aged males. LID - 10.1139/apnm-2017-0724 [doi]. (1715-5320 (Electronic)). 10. Braakhuis, A.J., and Hopkins, W.G. (2015). Impact of Dietary Antioxidants on Sport Performance: A Review. Sports Medicine 45, 939-955. 11. Stubbs, B.Cox, P.; Evans, R.; Santer, P.; Miller, J.; Faull, O.; Magor-Elliott, S.; Hiyama, S.; Stirling, M.; Clarke, K. (2017). On the metabolism of exogenous ketones in humans. Front. Physiol. 12. Pinckaers, P.J.M., Churchward-Venne, T.A., Bailey, D., and van Loon, L.J.C. (2017). Ketone Bodies and Exercise Performance: The Next Magic Bullet or Merely Hype? Sports Medicine 47, 383-391.